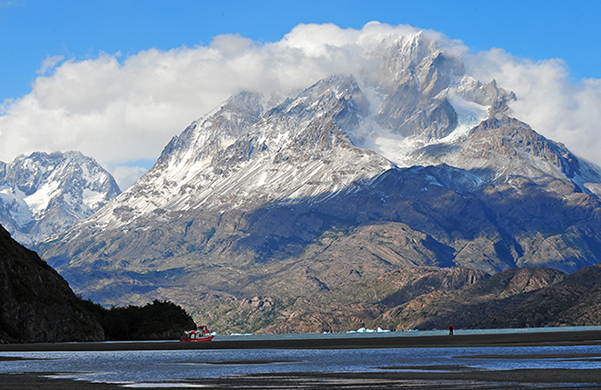 Chile is a beautiful country from the Lake District all the way down to Las Torres del Paine in Patagonia. Travel with bilingual guides as you hike, raft, and ride horseback through some of the most spectacular scenery on the planet! This is an adventurer’s dream, accompanied by tour director Sunny Reynolds, a world-class professional photographer. Easter Island extension available – Call for prices. 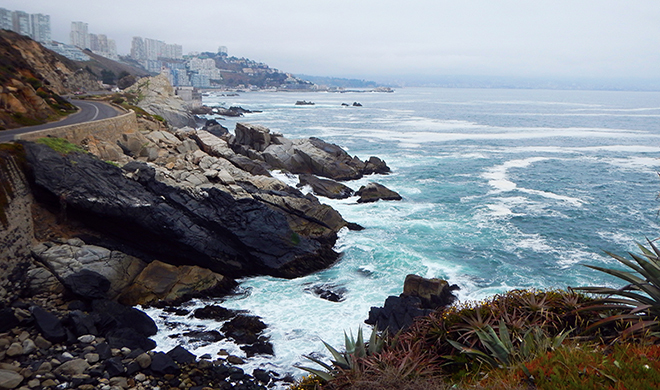 After breakfast we will leave for the colorful town of Valparaiso, Chile’s main port, a coastal town with lovely vistas. The houses are all brightly painted, and there is beautiful street graffiti created by well renowned local artists. It is incredible and unique. 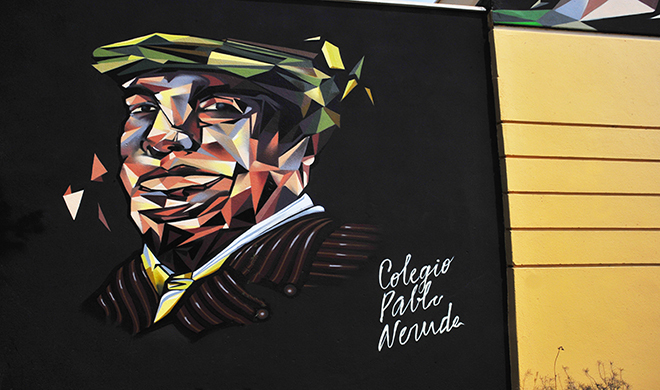 We tour of one of Pablo Neruda’s houses and ride the cable cars to get an impressive view of the harbor. We will have lunch at a local café and a coffee before we leave. This young, active, artistic town will impress even the most seasoned traveler. After breakfast, private transportation will take us to the airport in Santiago to catch our flight south to the city of Temuco. Once we arrive in Temuco we will travel by road through the lovely northern Lake District to Pucón. Reminiscent of Jackson Hole Wyoming, this charming small town is full of youthful vitality and rusticity. Ismael Hotel – Known as "The loveliest location in Santiago," the Ismael Hotel is situated just across from the Parque Forestal in the historic city center of the Lastarria neighborhood. You will enjoy this innovative boutique hotel, with its perfect blend of warm comfort and contemporary style, whether you are relaxing by the rooftop pool with a beautiful view of the park or unwinding in a trendy social area just off the lobby. The Museum of Contemporary Art, Plaza de Armas, Centro Cultural Gabriela Mistral Caltillo Hidalgo, and Museo Nacional de Bellas Artes are all within walking distance. Hotel Martina de Goñi is located in Pucon, a beautiful town in the lake district, settled beside Lake Villarrica, with the snowy Villarrica volcano grandstanding on the horizon. This charming hotel is situated two blocks from downtown Pucon on one side and two blocks from the main beach on the other. With eclectic decor which includes Provincial, Patagonian and modern, it is easy to get caught up in the beautiful contrasts of the local forests, rivers, lakes and hot springs, particularly while enjoying a beverage on the outdoor fifth floor terrace. Cabaña del Lago Hotel has an exceptional location and a warm, rustic, mountain style. It is an ideal place to enjoy the South and its wonderful natural surroundings. Situated beachfront along Llanquihue Lake bay, it provides a panoramic view of the lake and volcanoes. The hotel’s 157 warm and comfortable rooms are decorated with woods typical from the south of Chile. Services include a spa, heated pool, sauna, steam room, gym, bicycles, pool table, and free high speed WiFi. The restaurants and bar are the perfect place to taste the typical flavors of the region. Hotel Vendaval is a delightful jewel of a hotel that offers breathtaking views of the mountains, glaciers and the Señoret Channel. The welcoming and helpful staff will make you feel right at home as you settle in to your comfortable, modern room. Just three blocks from the waterfront, this quaint establishment revolves around an antique house of brick, typical of Patagonian architecture. Everyone raves that the cozy rooftop terrace is the perfect place to unwind after an adventure-filled day. Las Torres Hotel is an all-inclusive hotel that has a privileged location inside Torres del Paine National Park, which was declared a UNESCO international Biosphere Reserve in 1978. Today the hotel is one of the most outstanding in the region and still maintains the principles of its founders, “to share the warmth of the people and the customs of Patagonia.” Las Torres features a spa, a restaurant and an organic garden. With large windows overlooking the valley and the mountains, rooms at Las Torres Patagonia are very bright. All of them have heating, private bathrooms and free WiFi. A buffet breakfast is served daily. International dishes and Patagonian specialties can be ordered at Coiron Restaurant. Drinks and snacks can be enjoyed at Pionero Bar. Guests can benefit from beauty treatments at the spa, or engage in horseback riding activities. So narrow it almost gets lost on a map, Chile does anything but blend in when you see it in real life! It contains some of the most splendid natural scenery in the world, from the looming snow capped Andes along the country’s eastern border, the desolate arid ‘far north’, and the valleys carpeted in wildflowers, all the way to the dazzling explosion of icy fjords and glaciers of Patagonia. Chile’s towering volcanoes and roaring rivers draw adventure travelers from around the world. Eco-tourism, environmental protection, sustainable development and responsible travel are prioritized here. Biotrek Adventure Travels is dedicated to ecotourism, and well known for our responsible travel initiatives. We work hard to be socially responsible, and make every effort to promote tourism that helps local communities. Chile is divided into five regions, each unique for its climate, biodiversity and natural resources. 80 percent of Chile is mountainous. More than 50 active volcanoes make up the Andes Mountain range. On the Pacific coastline there is a magnificent collision of land and sea, which in turn gives way to lovely beaches and coves. In between is the rich and expansive central river valley, with its fabulous vineyards, ancient forests and shimmering lakes. Our guided tour of Chile highlights three of the most impressive regions, where all of our accommodations are first class, and characteristic of the area’s culture and lifestyle. Santiago, the capital of Chile, anchors the northern part of the Central region. The 5th largest city in South America, now a prosperous center of commerce, it is known for its diversity, from European influence and Creole aristocracy to Pre-Columbian art. With a colonial history and modern cosmopolitan feel, the city offers fine dining, museums, shopping, and an abundance of nightlife. One of our favorite places is the National Museum of Bellas Artes, noted not only for its exhibit of quality fine art, but also for its striking neoclassical architecture. 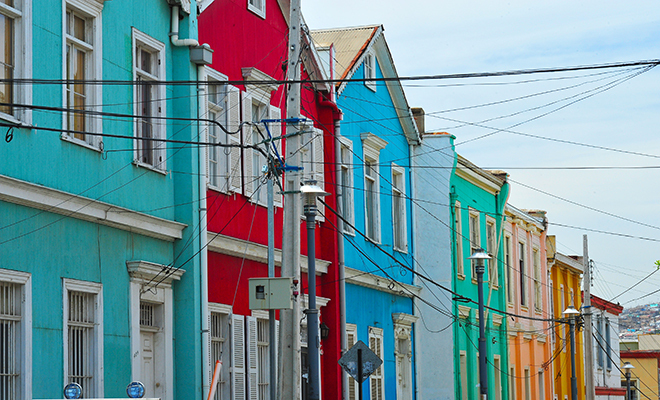 We also explore the colorful and bohemian Bellavista neighborhood, packed with bars, boutiques, and galleries. The area just north and south of Santiago has some of the richest agricultural land in the country, and is a large producer of fruits, including the grapes from which the best Chilean wines are made. We take this opportunity to explore local vineyards and sample world-class wines. Pucon is the jewel of the Northern Lake District. We explore the pristine Lago Villarrica and ascend the profoundly beautiful Villarrica Volcano. We hike in the Parque National Huerquehue, a reserve of rivers, waterfalls, alpine lakes and Araucaria forest, and soak in the bubbling hot springs of the upscale Termas de Huife. Opportunities for whitewater river rafting, horseback riding, and fishing and in the lakes and rivers are all available here. Puerto Varas is the gateway to the Southern Lake District in Chile. A small town with charming rose-bordered streets and a provincial flavor, it features local cafes and quaint shops, and sits on the shores of Lago Llanquihe (the largest of all the lakes), with an impressive view of Osorno Volcano. From here we can drive around the lake to nearby villages, or visit Chile’s oldest national park, Perez Rosales (40 miles away). Founded in 1926, Perez Rosales covers an area of 619,970 acres, incorporating Lago Todos los Santos, Saltos de Petrohué, and three commanding volcanoes: Osorno, Tronador, and Puntiagudo. There’s great hiking here. The brave and experienced hiker can climb to the top of Osorno Volcano. It also possible to go whitewater river rafting on the Petrohue River, a big volume river that has Class III and IV rapids. 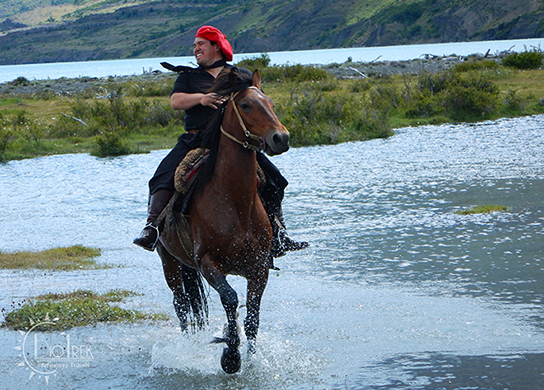 If you prefer, be awed by the impressive scenery from horseback. An excursion by boat across Lake Todos los Santos to Argentina, offers some of the most extraordinary scenery in the world. However you travel it, the photography opportunities are astounding! 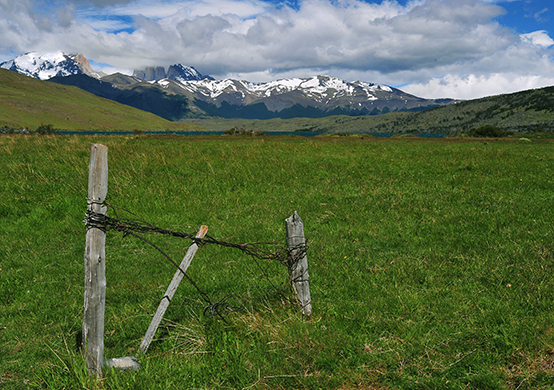 Puerto Natales is the gateway to Torres del Paine National Park. Once a quiet fishing port, it now offers excellent dining options and lovely lakefront hotels. This is the place to find outdoor gear if you left your crampons at home. 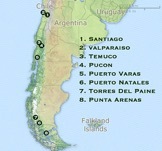 Over 50% of Chilean Patagonia is protected wilderness area. Here, it’s just you, the wildlife, and breathtaking vistas. We offer a variety of activities such as trekking, mountain climbing, and horseback riding. The region’s surprises include the vastness of the Gray ice field that gives way to majestic glaciers and the splendor of mountain peaks. 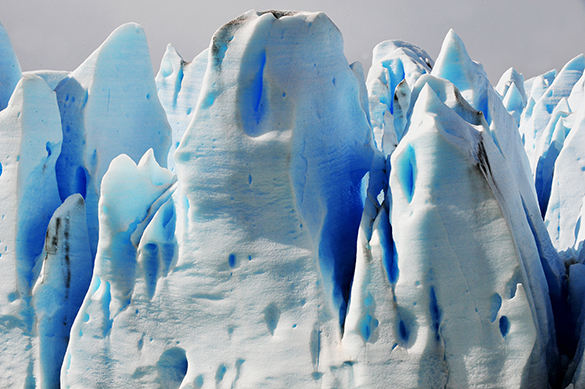 Torres del Paine National Park is the untouched wilderness of the Magallanes. 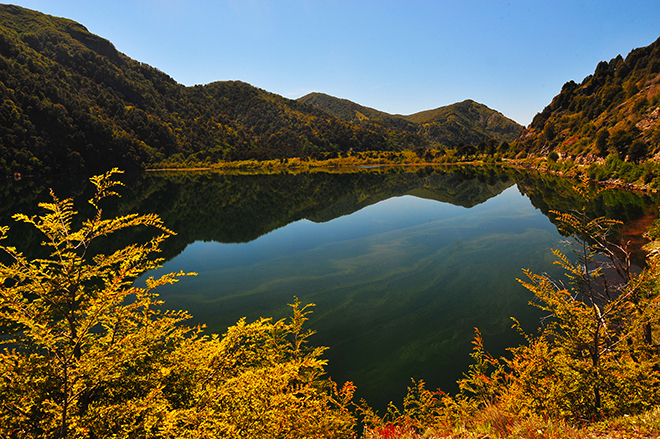 This exquisite National Park, created in 1959, was designated a World Biosphere Reserve by UNESCO in 1978. The climb to the “Towers of the Paine” begins with the region’s beauty visible in all directions. From our cozy hotel, the dining room’s full-view windows provide magnificent views of the panoramic mountain glory. As we explore the region by foot and van, we encounter much wildlife, including Andean condors, flamingos and guanacos, fox and nandu. A glacier visit by boat to Lago Grey, waterfall hikes and exceptional horseback riding trips from our ranch can be arranged. We visit the Magellanic penguin colonies at Seno Otway where the penguins are naturally curious and tame. This certainly makes for some fun photographs. Chile’s seasons are the opposite of North America, so when we travel, it’s their Spring season. At that point the wild flowers are in a riot of bloom, the snow is still covering the Andes peaks, the rivers are flowing from the glacial ice melt, and the weather is usually very temperate. This is also on the front end of Chile’s ecotourism season, which allows us to avoid the crowed peak season full of European tourists. 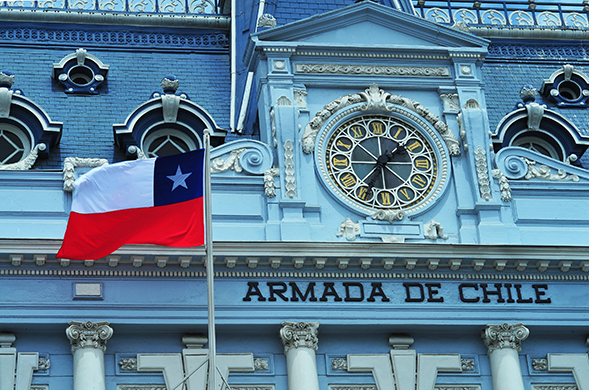 Experience Chile’s native allure and join us for this journey of cultural discovery and geographic beauty.